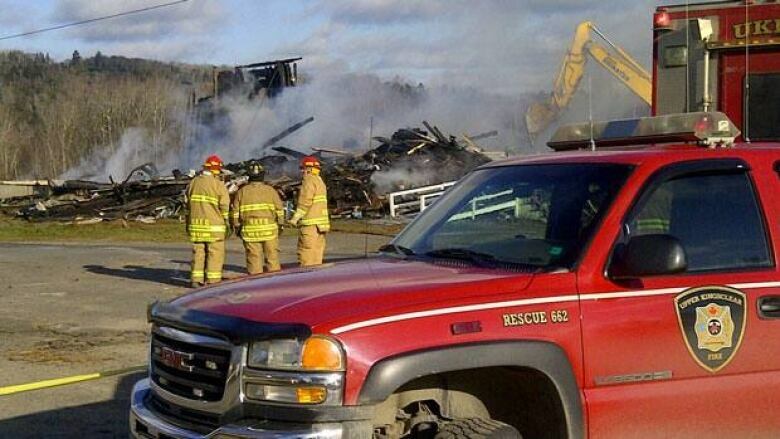 A fire demolished a historic Catholic church on the Kingsclear First Nation in New Brunswick early Sunday morning. St. Ann's Parish was built in 1904 and it was considered by some to be the centrepiece of the community. Many people gathered around the area as the church burned. Rosemary Young said she's lived in Kingsclear her whole life. She was married in the church, her children were baptized there and her relatives are buried right beside it. She said watching what was left of the building come down was devastating. "It's a piece of you. You've grown into the church and the church has grown into you," she said tearfully. "It was always there when you needed it." Patrick Polchies, a band councillor, said the loss extends beyond the First Nation. "It's the parish that's going to suffer. Naturally there are many non-aboriginal people of course, too, involved in the church — a great deal of them for a significant amount of years, so it's really a tragedy for the entire area." The fire department is still investigating the fire.